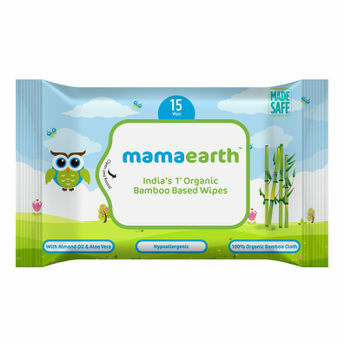 Keep your baby's soft and sensitive skin squeaky clean with Mamaearth's India's First Organic Bamboo Based Baby Wipes! From changing diapers to cleaning up after a messy meal, these delicate and safe wipes come handy at all times. They are enriched with vitamin E, shea butter, almond oil and aloe vera to nourish your baby's skin while cleansing it. 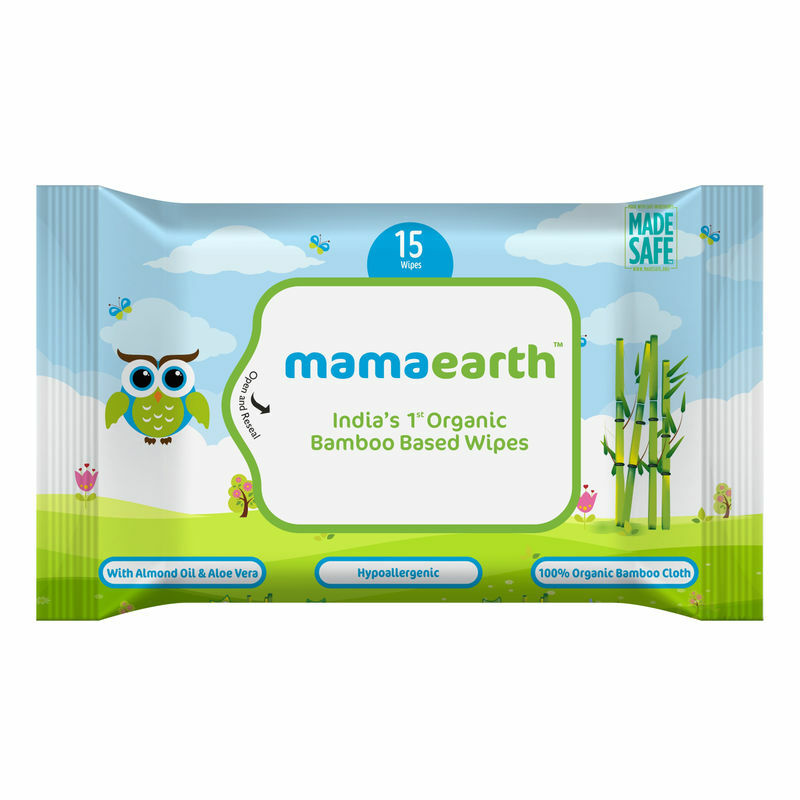 Mamaearth's travel friendly baby wipes are an environment-friendly biodegradable alternative to traditional polyester based wet wipes! These are perfectly suitable for everyday use on soft and sensitive skin. Perfect for baby's sensitive skin: These wipes are perfect for daily regular use. Unique blend of aloe vera, shea butter, almond oil and lavender oil, it gently cleanses and soothes baby's skin. No rashes, redness, dry and cracked skin: The mild ingredients in these soft baby wipes ensure that there is no irritation. The wipes are pH balanced, hypoallergenic and are clinically tested so they wipe away dirt without stripping away natural oils, from the sensitive skin of babies.